The NSFHSA has discussed on many occasion changing their logo and updating their website. As you can see the time has come and a new logo has been born. The logo was the collective efforts of Deborah Couzens (secretary) and myself, Cambee Dorrington. Our Board was more than supportive and offered valuable input to come up with the final product. Let me tell you a bit about the history/meaning of our new log. The structure in the background represents a home or a school a safe place for not only the children but their families, the two Ss in NSFHSA represent the roads that lead to our homes and schools... the paths we take or lead our children down are very important. The people walking the path represent parents/guardians, educators or anyone that has input in our children's education. The colors were chosen very carefully based on their meaning. Orange combines the energy of red and the happiness of yellow. It is associated with joy and warmth. Orange represents enthusiasm, fascination, creativity, determination, attraction, success, encouragement, and stimulation. The color navy blue symbolizes trust and responsibility. Blue also symbolizes reliability and strong responsibility. This color exhibits an inner security and confidence. It also represents order and direction and strength. The logo took a great deal of time to create and as you can see a lot of thought went into selecting the colors which offers you a glimpse of the values of our organization. The new website is very easy to navigate and user friendly and we've also incorporated our new color schematic as well. 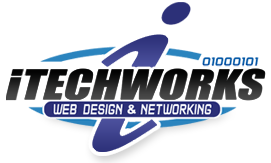 We'd like to take this opportunity to thank Stephen Hayman of iTechworks Web Design & Networking for creating the new website and offering countless hours of support to me and to the NSFHSA Board. I would also like to also thank the NSFHSA Board members for your countless hours of volunteerism. You are all truly dedicated community members who want nothing but the very best for the children of Nova Scotia.